This webinar is designed to introduce you to both the best practice method and real life examples of continuous improvement in distribution. You will hear about our sustainable improvement system which delivers stable ways of working and a simple but effective improvement method. We will show how leaders can develop the right thinking and behaviour to ensure that continuous improvement becomes a way of life. If your business needs to increase profitability whilst engaging the staff in doubling their rate of improvement, then continuous improvement is for you. To offer participants access to a proven and innovative methodology for implementing CI in distribution. 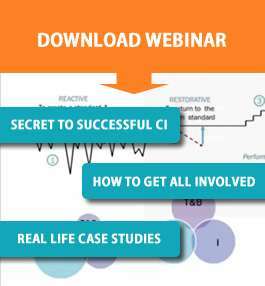 To offer practical, expert insights into CI in distribution across retail and manufacturing. To view the webinar just click the download webinar graphic in the column. If you have any issues please contact info@sapartners.com. Enjoy!